This is a reissue of the original Motown album from 1969. It was issued in the USA on the Motown, Soul label and on Tamla Motown records in the UK. All the track are taken from Golden World, Ric-Tic label issued as 45's. The Fantastic Four were Sweet James Epps (lead), Joseph and Ralph Pruitt and William Hunter. Hunter was replaced by Wallace Childs. 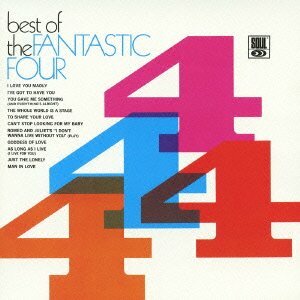 The earliest track dates from 1966 and the Fantastic Four were the biggest selling artists on the label. Every track is a gem and this CD is highly recommended. Issued on Motown UICY 75857 Japan (Limited Edition).